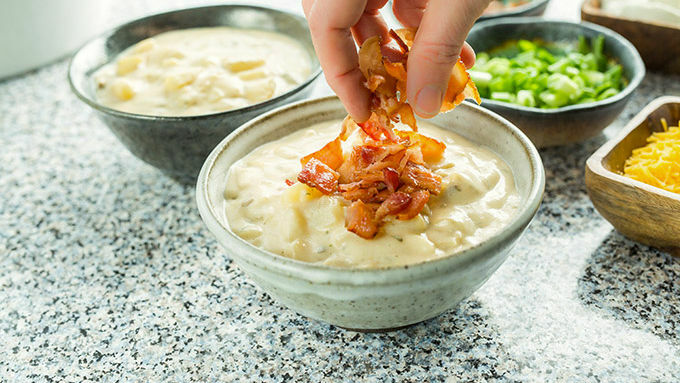 For a twist on this recipe, use Progresso™ Potato & Bacon Soup instead of Creamy Mushroom. There’s nothing better than a baked potato topped with all the fixings. 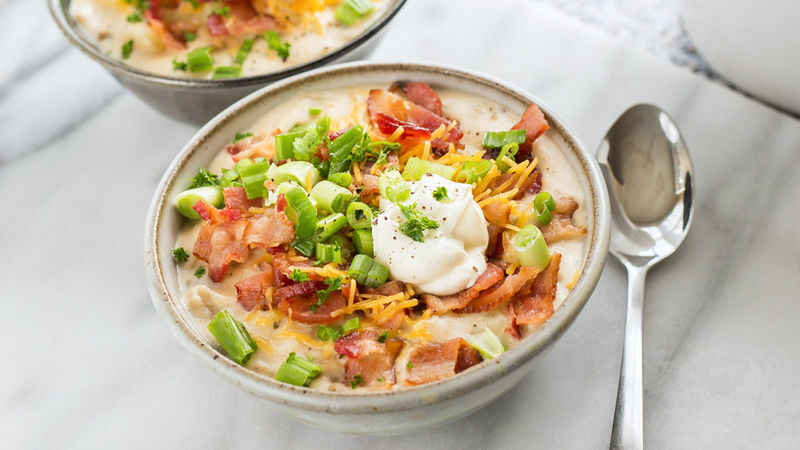 Unless, of course, we’re talking about baked potato soup loaded with everything under the sun—bacon, cheddar, sour cream, green onions, etc. This recipe is a classic—only it’s made even easier than the classic version, because this basic (but not #basic) soup calls for just 5 ingredients. Rather than making a rich roux with flour or cornstarch and butter, we shortened the prep time by tossing in creamy Progresso™ Soup. 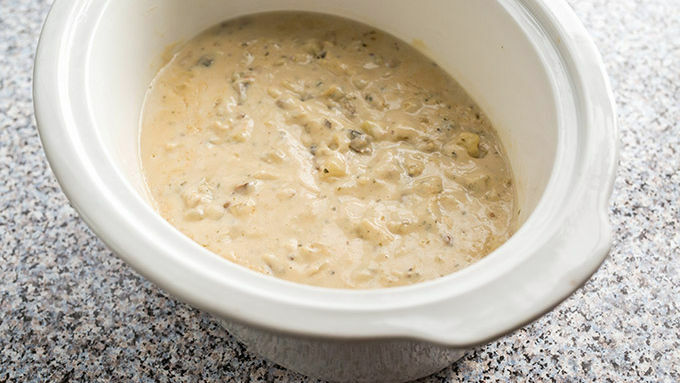 Set it, forget it and 6-8 hours later, you have a thick, creamy potato soup ready to be loaded up with all your favorite baked potato toppings. So grab your Snuggie, cozy up in front of a crackling fire (place video on YouTube), and get through winter the delicious/baked potato soup way: one comforting spoonful at a time. If you’ve had one potato soup, you haven’t had them all. There really is a potato soup for everyone. 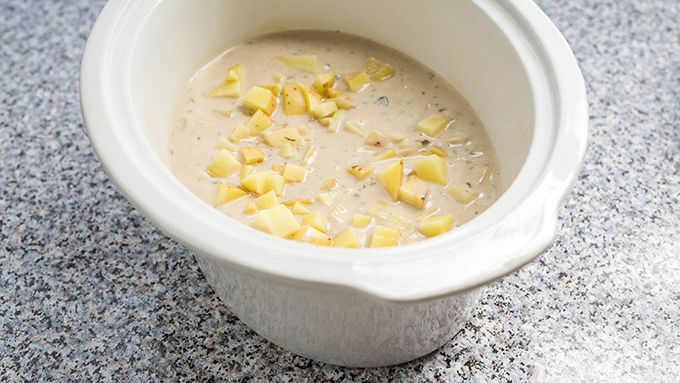 The best part about slow cooker potato soup? While the base of the soup is cooking, you can get creative with toppings, ensuring every bowl is extra personal.